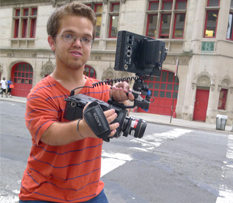 Media Enabled Musketeers is a program for American and Russian citizens who have disabilities and for filmmakers who are interested in disability issues. The goal is to produce films that provide a deeper understanding of disability and to promote friendship between Russia and the United States. Citizens with disabilities are the largest minority in both countries. 12 short films will have their United States premiere at HBO's theater on Friday, October 17th, 2014. Media Enabled Musketeers' program began in January, 2014. A total of 35 Russian filmmakers participated from Krasnoyarsk, Sergiev Posad, and Moscow. 13 American filmmakers participated from New York and California. The films they made cover everyday issues faced by Americans and Russians with disabilities: accessibility, love, dreams, prejudice. Media Enabled Musketeers is a joint program of Downtown Community Television Center and the Journalism Advancement and Support Center in Moscow. 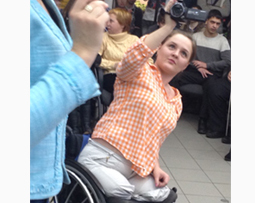 Karina Chupina, Senior Trainer and Consultant for the Council of Europe in the Field of Disability Rights, has been an advisor and organizer for this project. This program is funded by the U.S. Department of State, the Eurasia Foundation and its SEE (US-Russia Social Expertise Exchange) Program. With additional support from NHL hall of famer Viacheslav “Slava” Fetisov, SONY, Bank of America Matching Gift Program, Time Warner Cares, The Center for New Media and Society (Moscow), TV Radoneje (Sergiev Posad), and TVK (Krasnoyarsk).